"Do whatever the f**k you want to do!" Not even the offspring of a god can escape the shame of an embarrassing parent. Coraline Jones is bored when she moves into a creepy old house full of odd old people, until she finds a hidden passage leading to a place where she can get all the attention she wants, if only she will pay the price. 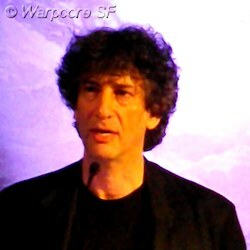 Neil Gaiman writes comics and fantasy novels, and his work has been adapted into a number of films. 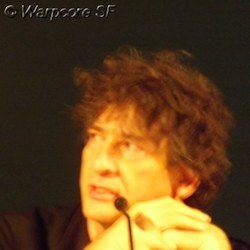 His fiction is quirky and original, and he sometimes uses characters from various mythologies.